Interview of Neeraj Kant Verma, AGA Allahabad High Court. Comments Off on Interview of Neeraj Kant Verma, AGA Allahabad High Court. Interviewer : Mr. Varenyam Shukla, RGNUL, Patiala. Q. Tell me about your educational background sir? I completed my early education from Saint Joseph College and did my graduation and law from Allahabad University. Q. When did you realize that law is a pertinent area for you to build up your career? During my initial school days, i realized that i should opt for legal field and from the very starting i focused on my goal and gradually my interest in this field increased. Q. Any specific reason behind that? Since My father and grandfather were from this field therefore since my childhood I have grown in a milieu where except law nothing got space therefore I developed a keen interest towards the same. My grandfather and father both were the chief justice of Allahabad High Court so I had an edge and therefore I preferred litigation over any other thing. Q. Tell about your early life as a lawyer. Early years in law were not easy for me. Like most of other young lawyers I also faced the problem of low earnings even though working for endless hours but still i continued. This i want to say to young lawyers that don’t get depressed in your early phase. This phase is very crucial in a advocates life and you learn and get prepared in this phase only. Whatever you will be in future, this depends upon the labour done in this phase. Q. What all lacunas you see? 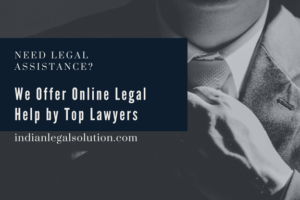 Some amount should be fixed and working hours should be fixed so as to make the conditions more easy and humane for the lawyers who are opting for litigation. Also lack of training make the litigation much tougher for the young lawyers. Q. According to you what will be the effective change to fill the lacunas? Government should intervene especially the law ministry or the Bar council could make some rules in regard to the payment, hours of working and the training of young lawyers. Q. Any suggestions to young lawyers. Be fearless. Give honest opinion to the client. Don’t work solely for minting money. If the case seems to be weak tell the client accordingly. Don’t misguide the client. Q. Any comments on the judiciary especially in regard to the recent incident which happened in the Supreme Court? Do you think the present process for the selection of judges is serving the purpose or some modification is needed in it.